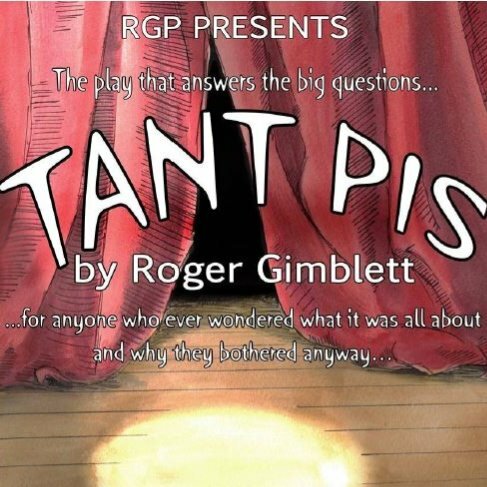 For the first time in NZ, the crowd favourite “Tant Pis” by award-winning New Zealand writer, Roger Gimblett, lands for an all too brief season at the FatG as part of the NZ Fringe. The writer describes this as a “backstage” play and draws on his many years of experience on stage, back stage and in theatre management. Tant Pis (French: “Too bad” or “it’s not important” or “tough!” ) is a play for anyone interested in the theatre! It takes an affectionate and extremely funny swipe at many aspects of the theatre – playwrights, actors, directors, designers, critics and audiences! And does it remarkably well. There is a shooting, a dead body, mistaken identities, a family reunion – everything one might expect from a play that has cunningly combined a mixture of theatrical styles into an absurdist piece that requires good timing, frenetic pace and a quite bit of hamming! New Zealander Roger Gimblett, twice winner of Australia's National One Act playwriting award, brings a rapier wit to skewering theatrical pretension in this critically acclaimed short play. Gimblett, who started his career with Dunedin's late lamented Fortune Professional Theatre, is an actor, director and writer who has written for ABC television and had plays produced in Australia, New Zealand, India, South Africa and the UK. He is delighted to be coming home for the Fringe!